Do you have gaps between your teeth? Do you have exposed tooth roots that are causing you pain? Perhaps you have a cracked tooth that is unsightly and unpleasant. No matter which of these scenarios you are facing, there is a solution to be found. Here at Frederick Smiles Dental Care, we provide tooth bonding services to the community of Frederick. 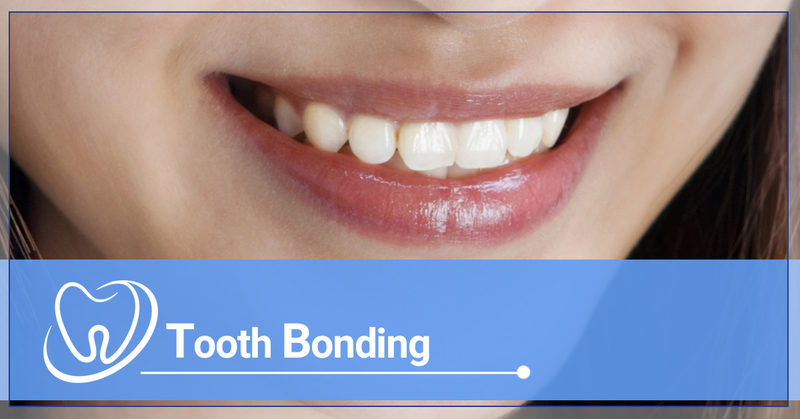 Tooth bonding can be used as both a cosmetic dental treatment and a restorative treatment to repair or protect teeth. If you think this is a service you might benefit from, we invite you to reach out to our team to learn more about how we can help. Our goal is for you to leave our office with a smile you are proud of and the comfort of healthy teeth. Unlike veneers, tooth bonding can be done quickly and in office, with less expense to you. The tooth bonding procedure is relatively quick and simple and is performed in our office. First, our doctor will work to determine if this is the right solution for your needs. As a full-service dental clinic, we can help you explore the variety of options that are available for tooth repair and cosmetic treatments. Once your dentist has determined that tooth bonding is the right solution, we will get to work. Our doctors will first choose a tooth-colored resin or other composite plastic material that best matches your existing tooth. They will carefully abrade the surface of your tooth so they can then directly apply the resin to the tooth. Next, your doctor will shape and blend the material for a flawless, natural-looking restoration. Immediately following the procedure, you will want to avoid coffees, teas, and cigarettes as they can stain the resin, leaving an unnatural coloration. Talk to your dentist about the best aftercare for your specific teeth. Due to the practical benefits of dental bonding, many people opt for this procedure. If you are considering this method for the repair of your teeth, talk to our team today. Schedule an appointment at Frederick Smiles Dental Care to learn more about whether or not dental bonding will be the right solution for your unique needs. Our friendly team is here to help you achieve a beautiful and healthy smile you can be proud of. Stop by today or reach out via our online form. We look forward to meeting you soon.